“Greece is a European country, where the Rule of Law functions effectively. The competent Authorities immediately dealt with the situations referred to by Albania’s Ministry of Foreign Affairs, which were investigated and have already been solved, as is mentioned in a relevant statement by the Hellenic Police. The decisiveness of the Greek Authorities to crack down on crime in all its forms is a given. Likewise, we reiterate our self-evident condemnation of every form of violence and racism, which can lead to loss of human lives. The generalisations attempted by Albania’s Ministry of Foreign Affairs, connecting various criminal cases and attributing these to an undeclared “campaign of hatred and violence” do not correspond with reality and are unacceptable. 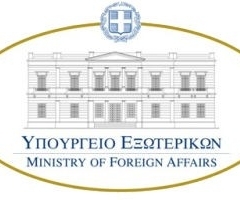 Awaiting the final report on the death of Greek citizen Konstantinos Katsifas by the fire of Albanian security forces, we call upon the Ministry of Foreign Affairs of the neighbouring country to demonstrate responsibility as well as the composure and self-restraint dictated by the circumstances.